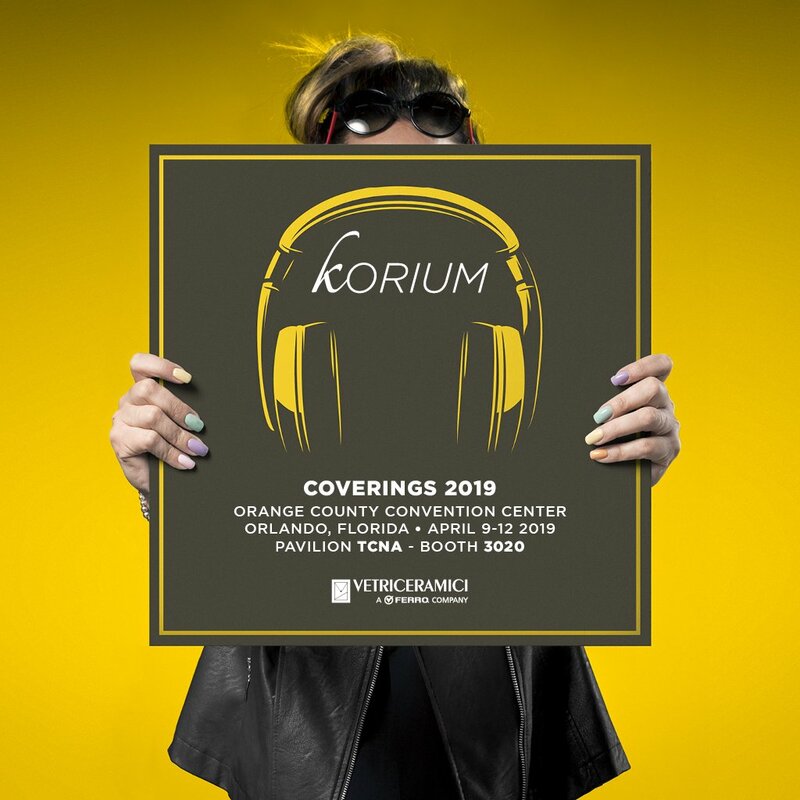 Coverings is the most important Tile Exhibition that takes place in America for ceramic manufacturers, distribution companies, retail, architects and interior designers. Being at Covering as Vetriceramici Brand, is justified for this reason. 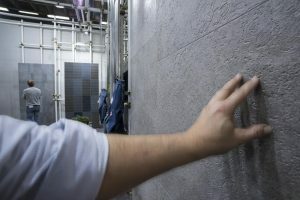 Our goal this year has focused on presenting a new line of products able to offer technical-aesthetic surface solutions to perfectly simulate trend surfaces and materials for bathrooms, kitchens and living rooms. That’s all about KORIUM. During the exhibition, we showed the first prototypes realized by our laboratories with the three different finishes. Korium Pop, Korium Glam, and Korium Rock. The new prototypes have attracted the attention of many visitors where they also appreciate the new proposals showed in Vetriceramici-Ferro Booth. Korium “Tech-in, Style-out” puts together a technological heart and an empathy for taste, applied research (Tech-in) of high aesthetical value (Style-out) for surfaces with very low light reflection but great softness to touch. Korium will be available in three different finishing grades.